Every used vehicle we sell has been thoroughly serviced by our skilled and experienced engineers and technicians, in order to make sure that we bring you only the highest-quality used vehicles. Our vehicles are all available through a number of affordable finance plans, and we have an extensive range of aftercare services to provide for you and your vehicle. 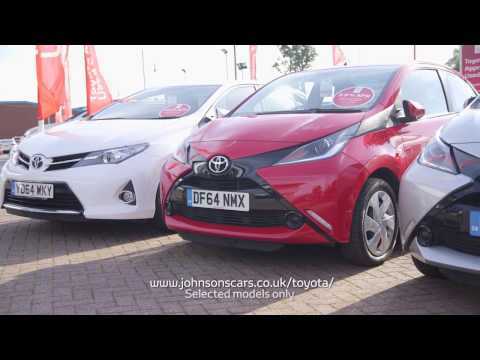 Before you decide which car suits you best, find out why you should buy a used model from Johnsons Toyota by clicking here. Contact us if you have any questions regarding our used Toyota vehicles. You can also arrange a test drive with us in the vehicle model of your choice, and at a time that suits you.